Everything at the Disneyland Resort is dazzling this year in honor of Disneyland's 60th Anniversary. 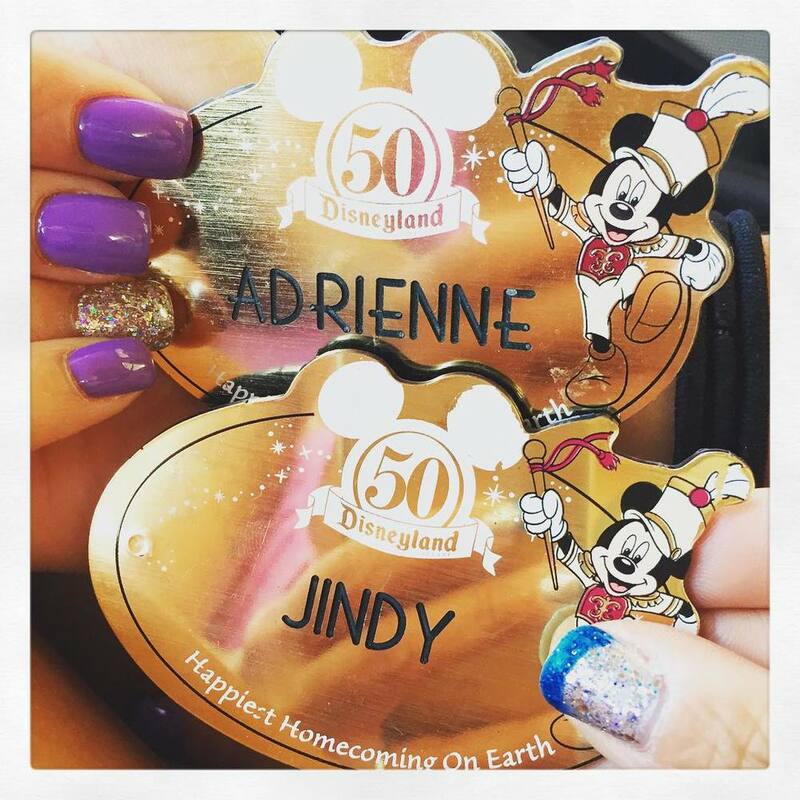 If you're on your way to Disneyland or Disney California Adventure to celebrate #Disneyland60 a special manicure and pedicure are in order. The great thing about gel manicures is that they last at least 3 weeks with no chipping or fading. Sometimes I will even wear a color for 4 weeks if I have no time to make a manicure appointment and, while my nails are long, the color still looks amazing. Here are some ideas to help you sparkle from head-to-toe! Above: In May, my daughter and I traveled to Walt Disney World for the Disney Social Media Mom's Celebration. I decided to celebrate both the release of Cinderella and #Disneyland60 with a gel manicure and pedicure from the Gelish and Morgan Taylor Cinderella Collection. My manicurist had some, but not all of the collection. Pictured above on my toes is Gelish's Live Like There's no Midnight from the Cinderella line. This color is very close to Gelish's Caution and Wiggle Fingers. They are all deep sapphire blues with little diamond specks - perfect companion to the #Disneyland60 color scheme at Disneyland! I wanted Party at the Palace for the blue colors on my fingers, but we agreed that color was a little too minty, so pictured above on my blue nails is Gelish's My One Blue Love, covered with a coat of Gelish's Water Field. My ring finger is completely layered with Am I Making You Gelish - my favorite! Honorable mention: my favorite MAC lipstick. Above: For our Disneyland trip in July for both her 18th birthday and Disneyland's 60th birthday, my daughter went with sky blue nails and silver gemstones. A similar color would be Cool Blue Harmony from Finger Paints. Your manicurist will have the gems. Above and below: My favorite dazzling Diamond Celebration nail color combo are Gelish's Am I Making You Gelish on top of Gelish's Night Shimmer. Night Shimmer is a pretty, metallic silver and when you pair that with the glitter magic that is Am I Making You Gelish - you have a winning combo! 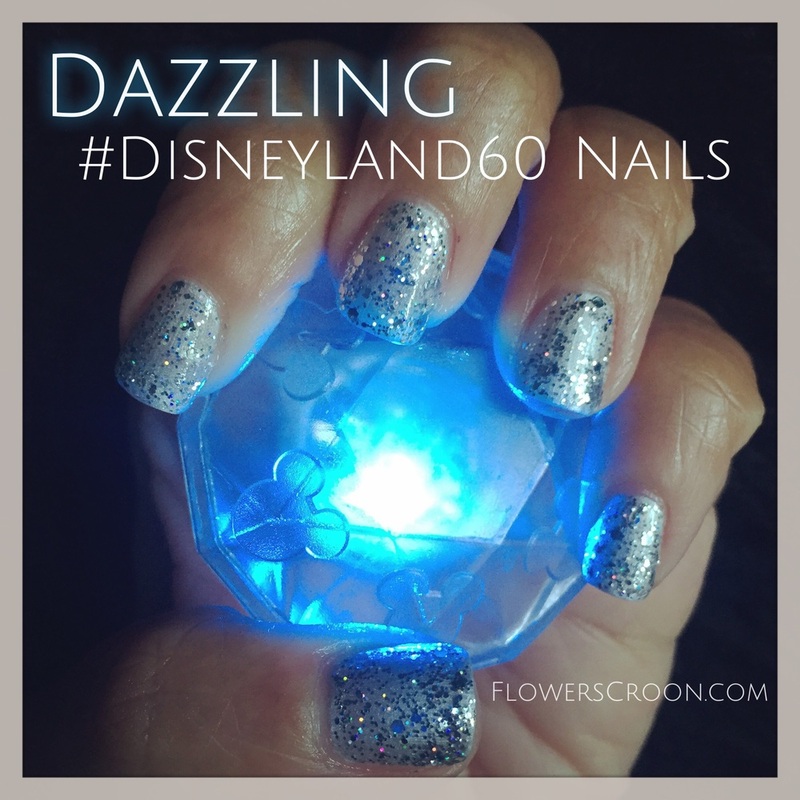 Below: For Disneyland's 60th birthday in July, I paired Am I Making You Gelish with sparkly blue tips for a really beautiful diamond anniversary shimmer. I love the way my manicurist combined the colors. This matches the Disneyland blue and silver decor perfectly! 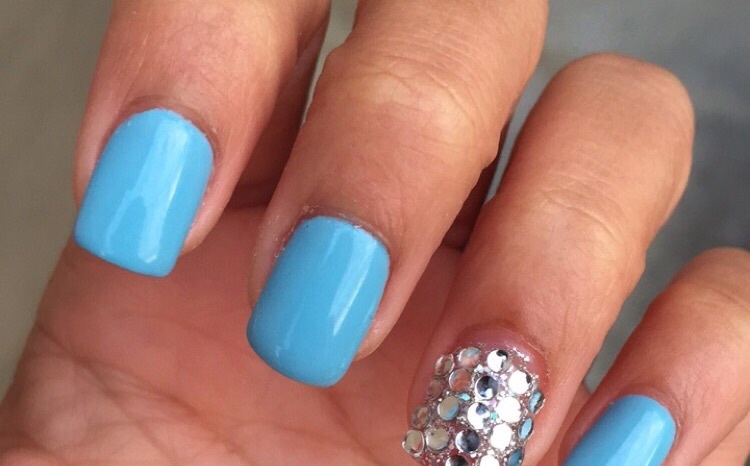 The tip was achieved with a light, thin base coat of CND Shellac's Water Park and topped with a matching blue glitter color. I was (and still am) in love with this combination! 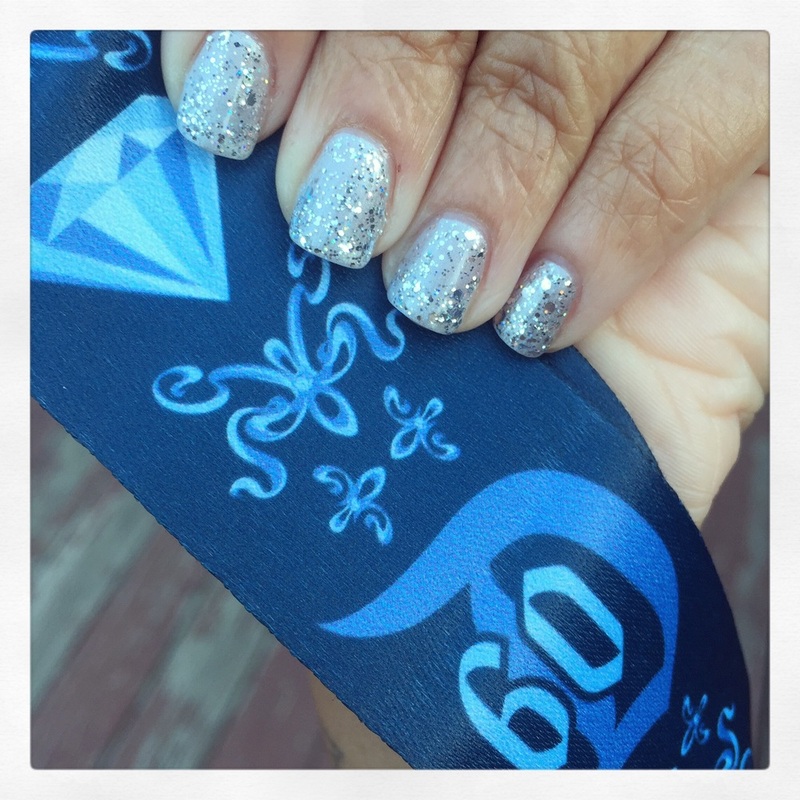 I can't wait to see your Disneyland Diamond Anniversary inspired nails!